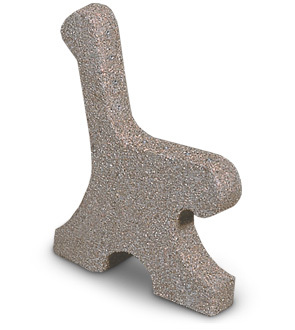 This concrete bench end is reinforced with heavy-duty steel making it a perfect base for your bench. Using your own back and seat materials, you can use these bench ends to create your ideal bench in either commercial or residential areas. The slightly slanted back provides comfortable relaxed seating, and the rounded edges throughout the bench frame ensure comfort and safety. Available in a wide variety of colors and finishes shown below. Bench frames sold individually.